We, at DNS, have been providing our services in the field of accounting to more than 1200 clients since the year 2005. We have a team of qualified individuals in the field of accounting and consultancy from the best universities in the world. They provide services like accounting, consulting and tax planning to entrepreneurs, companies and freelancers. These consultants are not only qualified, but experienced and enthusiastic to put forward their expert advice on tax-saving and accounting to help clients with their business. We, at DNS believe in a common fundamental that distinguishes us from all the other groups. We believe that more customers equals more profit and more importantly, profit of clients ultimately equals profit for us. This policy helps both the clients and us mutually. 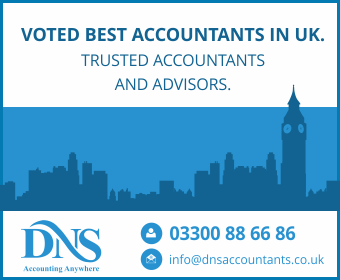 We have been providing highly passionate and qualified accountants in Redditch,Inverness, Watford and several other cities and have created a name for ourselves in the field of tax investigation, tax advice, accounting solutions and consulting and help our clients save money and develop their company to limits beyond reach. Redditch is a town located in north east Worcestershire in England. It was the manufacturer of 90% of the worlds’ needles at a point. A model for modern town planning, it has a three-tier system of schooling and currently has 4 high schools and 6 middle schools. Heart of Worcestershire College, a very prestigious institute, has one of its campuses located in central Redditch. Kingfisher Shopping Centre in Redditch is one of the largest shopping centres in all of England, sporting brands like Debenhams, Next plc, Marks and Spencers, Argos, Primark, Argos and H&M. Redditch was the home of the Royal Enfield motorcycle until the Redditch factory was closed down in 1967. Bellissand Morcom are a manufacturer and supplier of oil-free reciprocating compressors, technologies and services, based in Redditch. Halfords Group, a retailer of automobile parts, also has a headquater in Redditch. Sewing needles are still popularly manufactured in the town. So are automobile and aerospace components. Where do we come in the picture for accountancy services? Our skilled and proficient chartered accountants in Redditch provide their expert advice in account improvement, finance and corporate tax. These Chartered Accountants Redditch work with enthusiasm and dedication to add value to the business of the clients by maintaining proper accounts and acting as advisors in whom the clients can confide in to provide the right opinion. Tax accountants, Redditch carefully look into the business and related issues of the client, and provide and in-depth solutions for the intricacies. They provide tax planning and advisory services, to help clients save their money and make the flow of finances steady. These Redditch accountants work with companies, start-ups and entrepreneurs to help them minimise taxes and other liabilities. It is popularly as indemnity insurance, or errors & omissions. In case the client feels that the advice given by the consultant is not up to the mark and has led to a problem rather than any good, the indemnity insurance helps the consultant by protecting him from bearing the entire cost of defending against such a claim, and damages awarded in the lawsuit. Professional Indemnity Insurance covers claims of negligence in the form of a bad profession advice which caused more harm than good. Defamation that is, making a false claim about a company or a person is also covered. It includes sharing confidential information without the consent of the required organization for which they may sue the individual. Infringement of intellectual property rights, also comes under the insurance, which includes using content from a web page without permission. Management accounting is a form of accounting in which managers use the provisions of accounting information in order to better inform themselves before they decide on matters related to the organizations, thus enhancing management performance for the better. Management accounts isn’t a compulsion, however they are required for the effective running of a business and thus are produces on a quarterly or monthly basis. They help in identifying the key areas of weakness as well as performance of the business and thus make decisions accordingly. They uncover the costs, performing areas, under-performing areas, breakeven points, money flow of the business and help in shaping up the business with sound professional advice. The reason for the failure of many businesses during the early years is lack of knowledge about the market, understanding of finances and unclear business strategy. Management Accounts helps analyze the faulty regions and make the right management decisions. DNS offers efficient and cost effective management accounts service. We offer free training and once you are up and running, DNS analyzes the performance of your company. We identify underperforming sectors and money making sectors for you and offer financial advice. Our management services help you with all your requirements for making your business a success, whether it is acquire a loan, attract investment, expanding your business, etc. we cater to all your management needs. Accountants, Redditch cater to all your needs related to accounting and consultancy. We act as your advisor to provide the expert solutions to your problems related to tax planning and accounting solutions. Our services extend to various regions, including Solihull, Birmingham, Coventry, Evesham and Warwick. We have an enthusiastic and well qualified staff spread all over the world to serve as many people as possible, in order to help develop and expand business of our clients via tax consultation, accounting solutions, financial advice, etc.